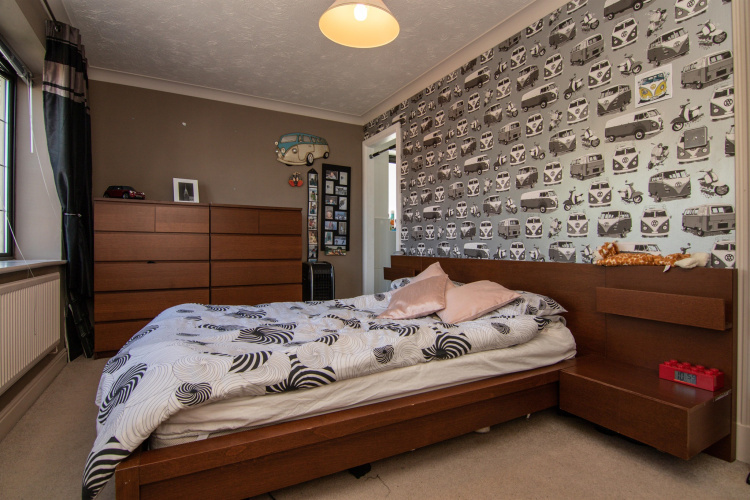 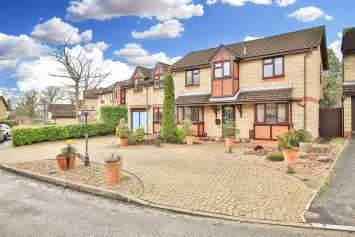 Found in a popular semi-rural location, an opportunity is on offer to purchase this beautifully presented detached property with four spacious bedrooms, two en-suites, family bathroom, three reception rooms, conservatory, utility room and double garage. 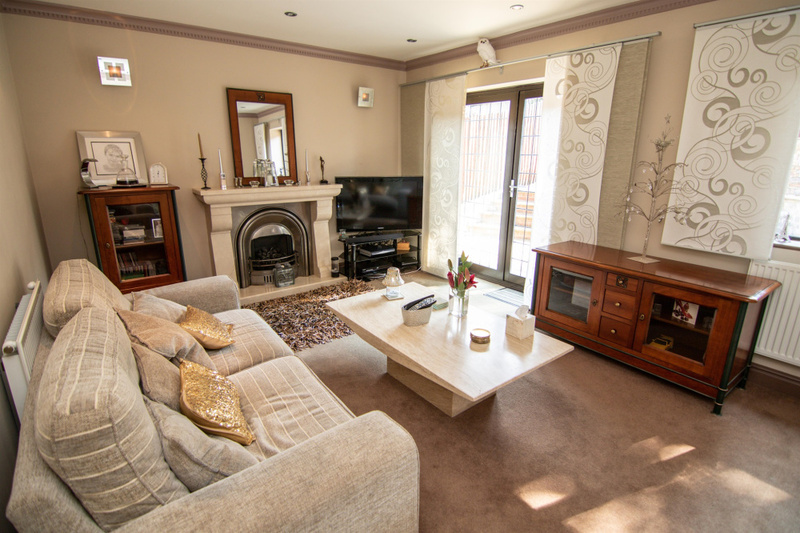 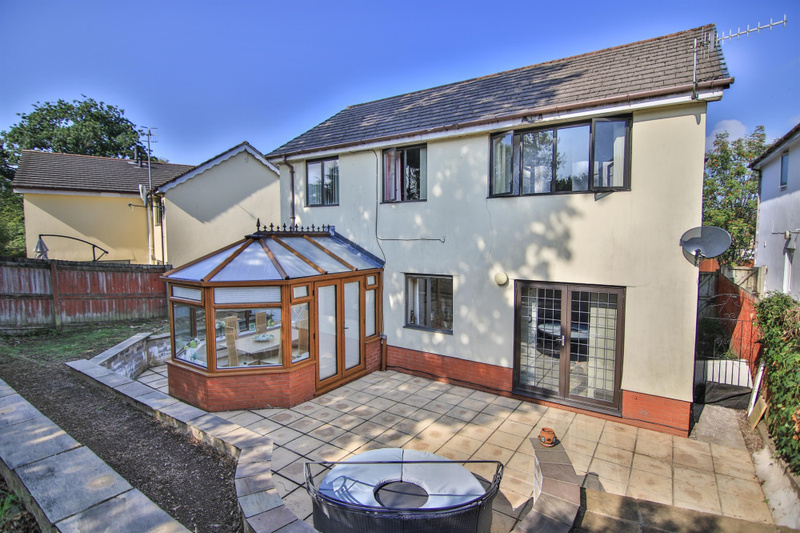 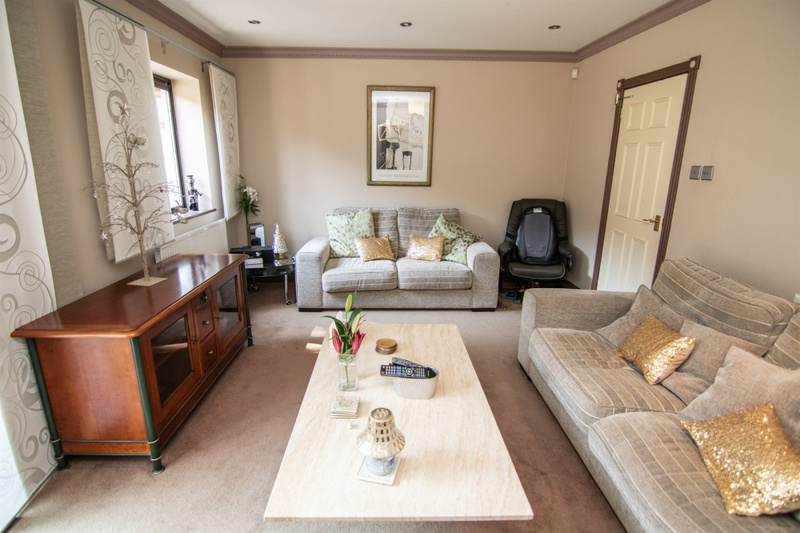 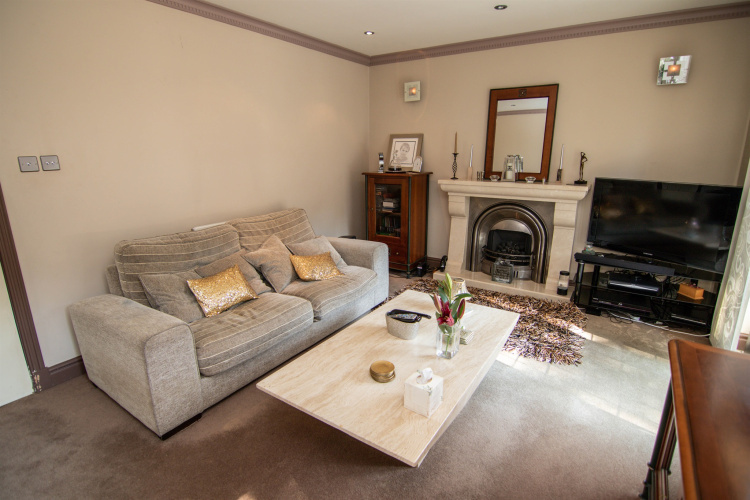 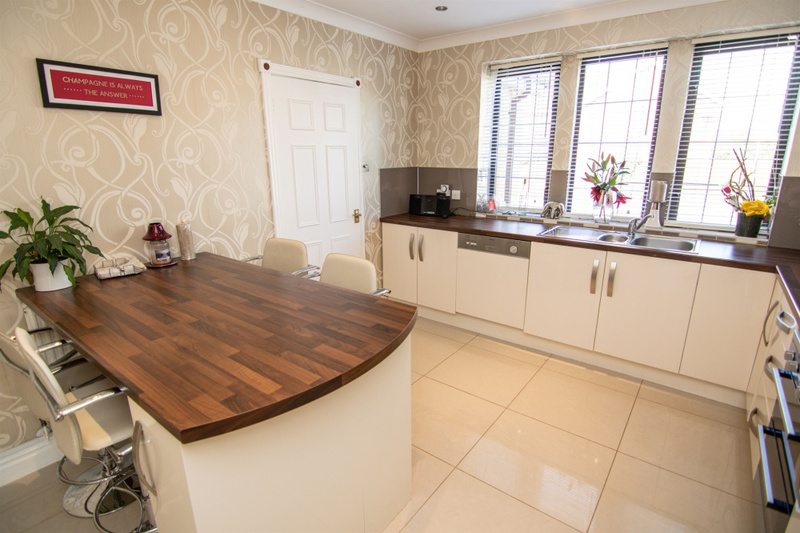 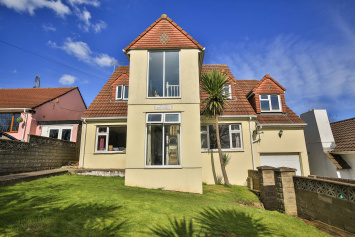 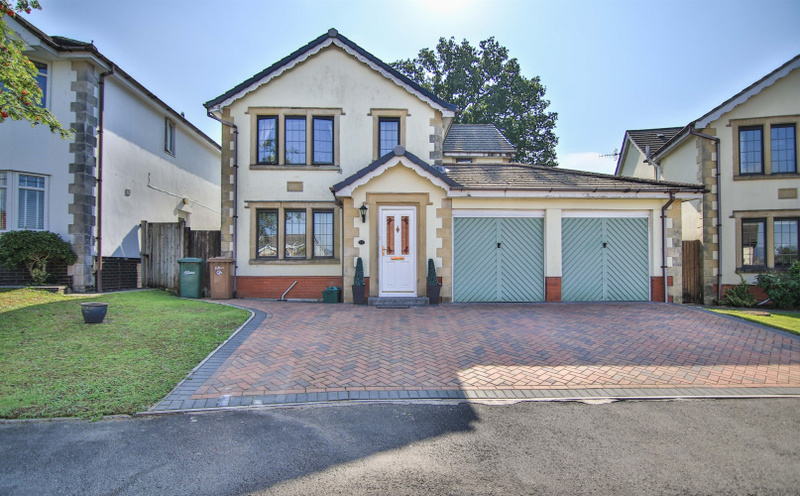 The accommodation briefly comprises of an entrance porch, 17' hallway, modern fitted kitchen with built in appliances, cloakroom/w.c, spacious lounge, dining room, conservatory, utility/Laundry room. 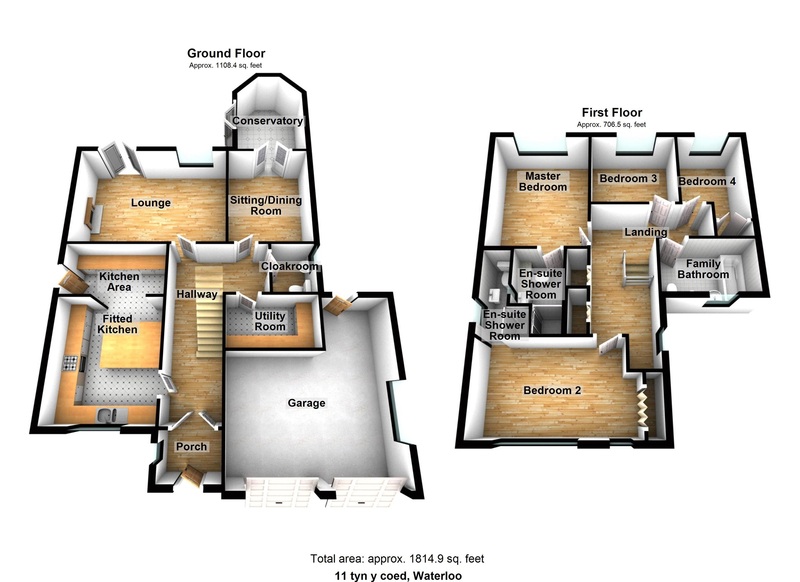 First floor: spacious landing, four bedrooms (en-suite to both the master bedroom and bedroom two), family bathroom/w.c with four-piece suite. 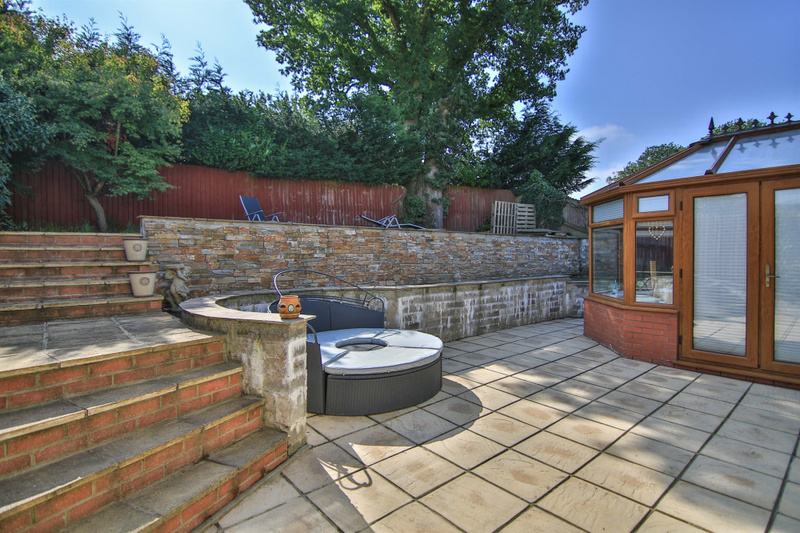 Triple width brick paved drive to the front leading to the double garage, private and enclosed rear garden mainly laid to lawn with paved patio areas. Property further benefits from both gas/c.h and double glazing. 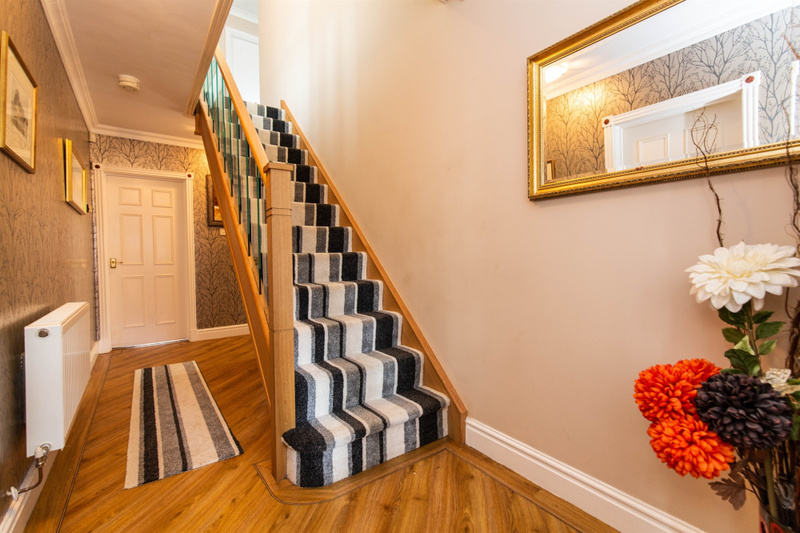 Double radiator, telephone point, power point(s), coving to ceiling with smoke detector, 'Neville Johnson' Oak and glass stairs providing access to the first-floor accommodation, diagonally laid 'Kardean' flooring with feature banding surround. Modern fitted kitchen with high gloss doors comprising a matching range of base and eye level units with worktop space over, 1+1/2 bowl stainless steel sink unit with single drainer and mixer tap, integrated dishwasher and fridge/freezer, fitted electric oven, built-in four ring gas hob with extractor hood over, task lighting, additional range of high gloss full height wall units fitted to the one wall wiring for oven provided, double glazed windows to front, breakfast bar, built in wine fridge, ceramic tiled flooring, power point(s), coving to ceiling with ceiling spotlights, double glazed door providing side access. Double glazed window to rear, coal effect gas fire with feature stone built surround, two radiators, power point(s), coving to ceiling with ceiling spotlights, double doors to rear garden. 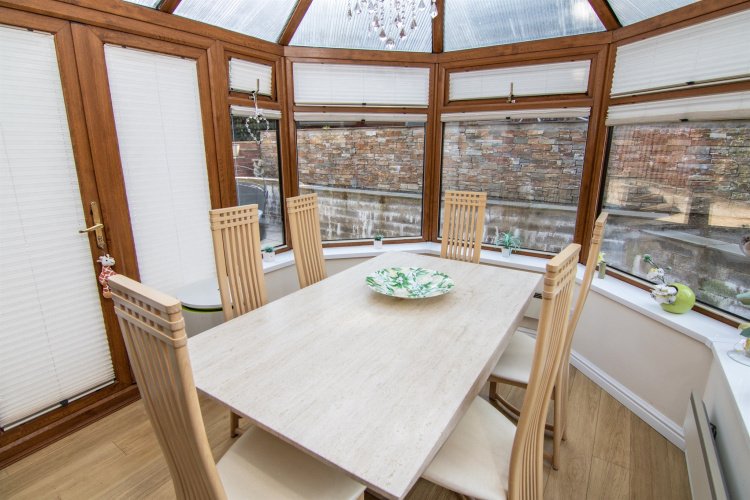 UPVC double glazed construction with uPVC double glazed windows, vent windows and double glazed polycarbonate roof, laminate flooring, power point(s), uPVC double glazed double doors to garden, two electric panelled radiators. 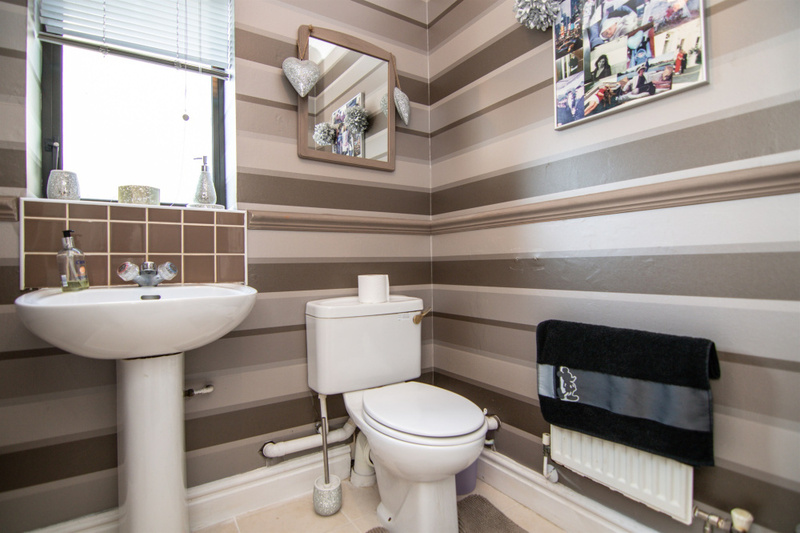 Obscure double glazed window to side, two piece suite comprising pedestal wash hand basin and close coupled WC with tiled splashbacks, radiator, ceramic tiled flooring, coving to ceiling. 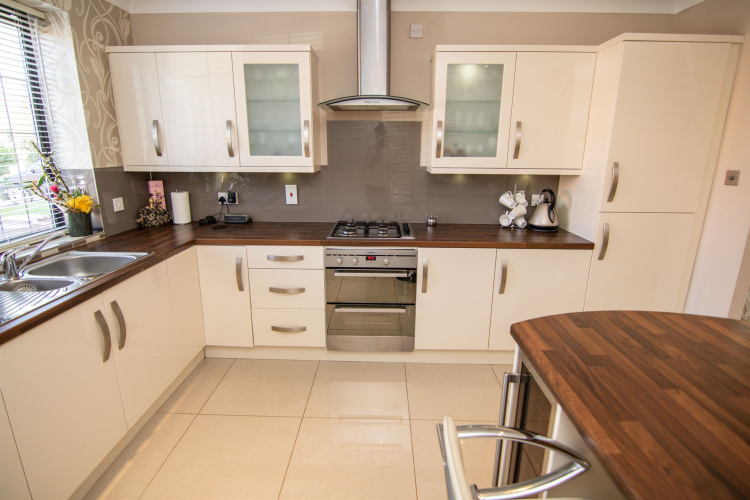 Fitted with a matching range of units with worktop space over, plumbing for automatic washing machine, space for tumble dryer, coving to ceiling. Double glazed window to rear, radiator, laminate flooring, power point(s), range of built-in 'Hammonds' wardrobes, coving to ceiling. Three-piece suite comprising tiled shower cubicle with fitted shower, matching shower base and glass screen, wash hand basin with base cupboard and mixer tap and WC with concealed cistern with tiled surround, obscure glass blocks, coving to ceiling with ceiling spotlight/extractor. 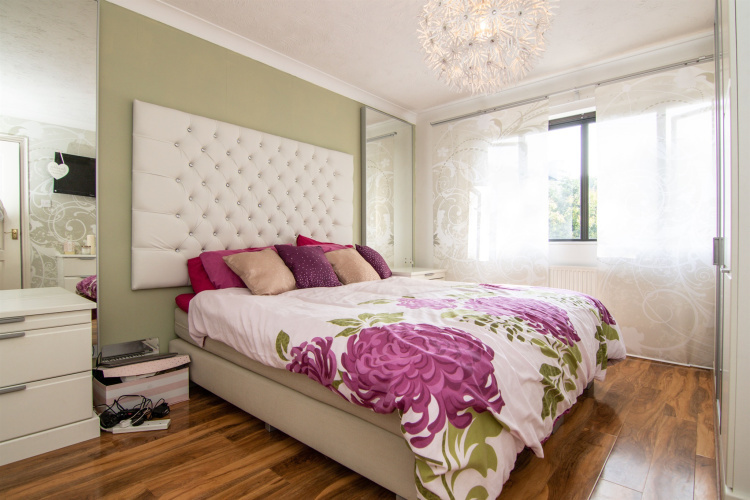 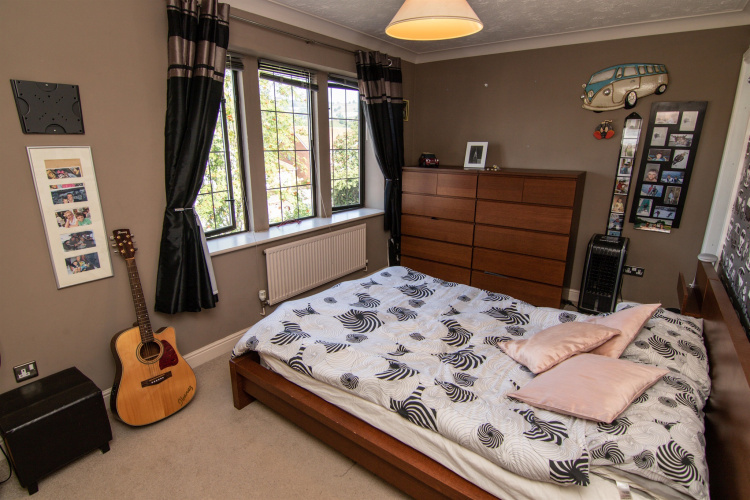 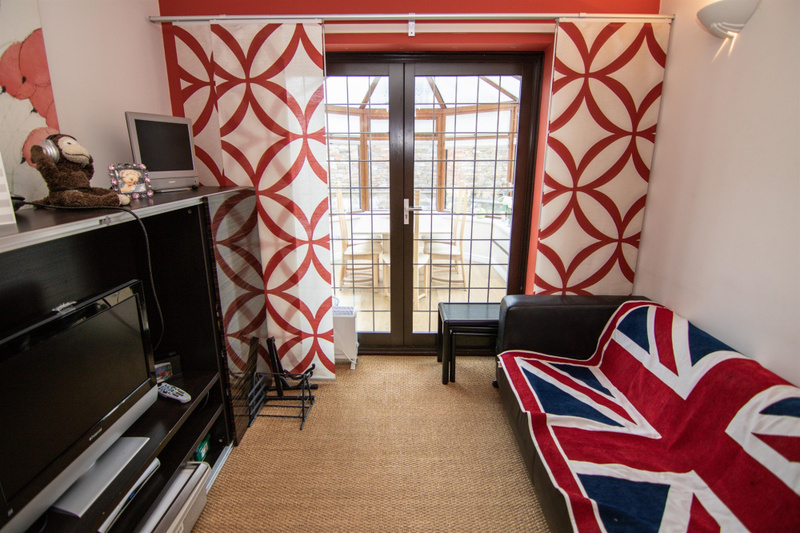 Double glazed windows to front, radiator, power point(s), coving to ceiling, built in wardrobes. 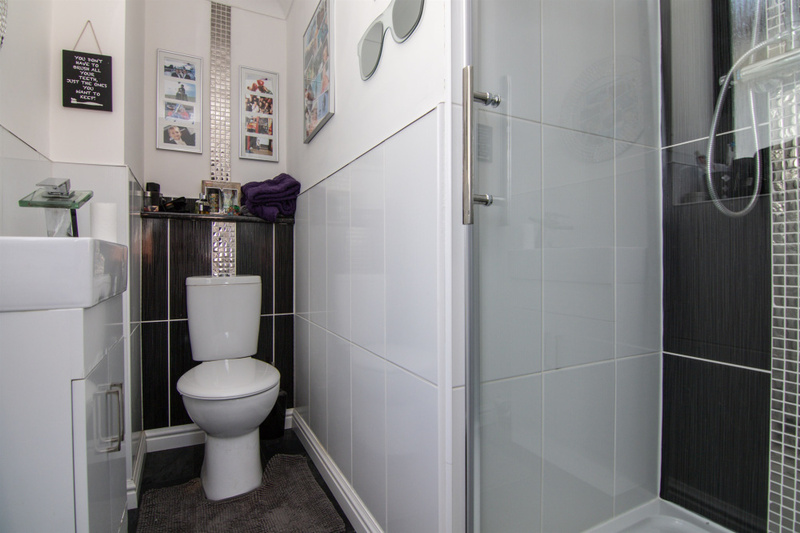 Modern three piece suite comprising tiled shower cubicle with fitted shower, matching shower base and glass screen, wash hand basin with base cupboard and mixer tap and close coupled WC with tiled surround, obscure double glazed window to side, coving to ceiling with ceiling spotlights and extractor. 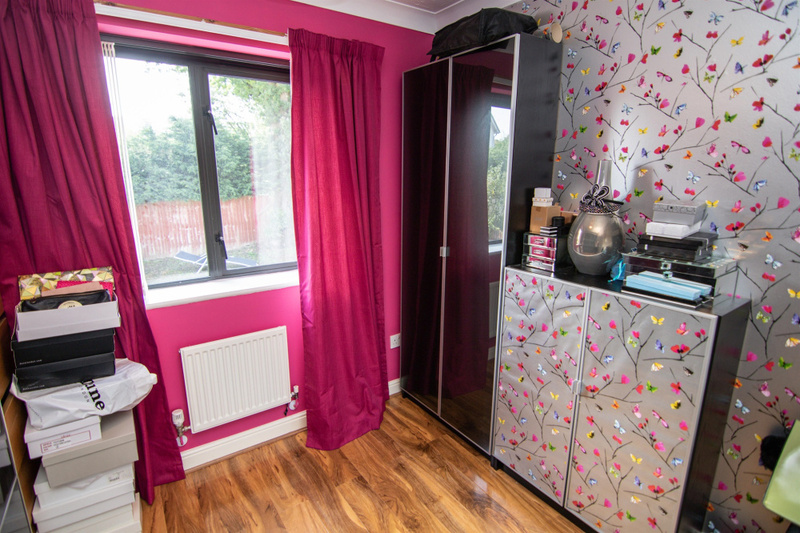 Double glazed window to rear, radiator, laminate flooring, power point(s), coving to ceiling. 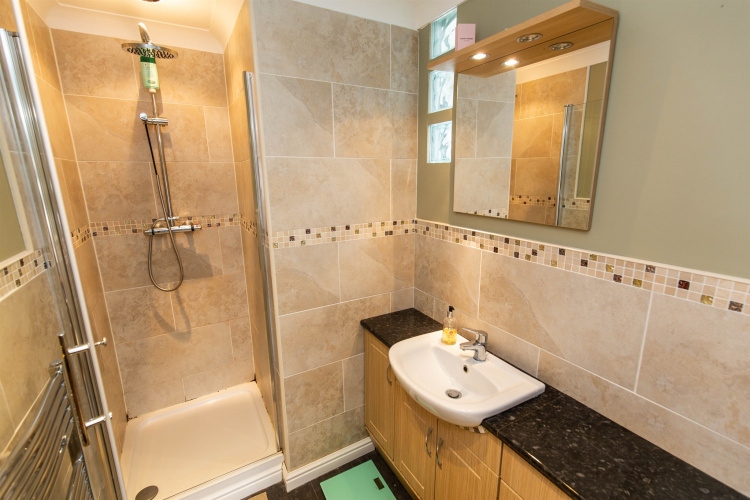 Four-piece suite comprising panelled bath with hand shower attachment, pedestal wash hand basin, bidet and WC with tiled splashbacks, obscure double glazed window to front, double radiator, coving to ceiling. 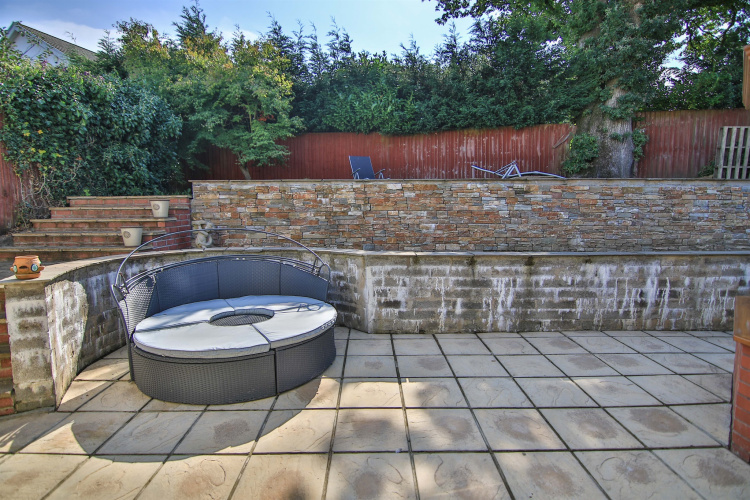 A private enclosed spacious low maintenance garden mainly laid to paved patio, paved steps providing access to the top with maturing trees and shrubs, Hot Tub and access to the rear of the garage, side gated access. 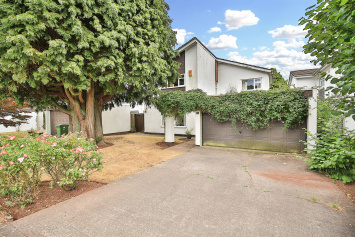 Two Up and over doors to the front, Obscure double glazed window to side, power point(s), wall mounted gas boiler, door providing access onto the rear garden..